We don’t stop at producing your multimedia project. 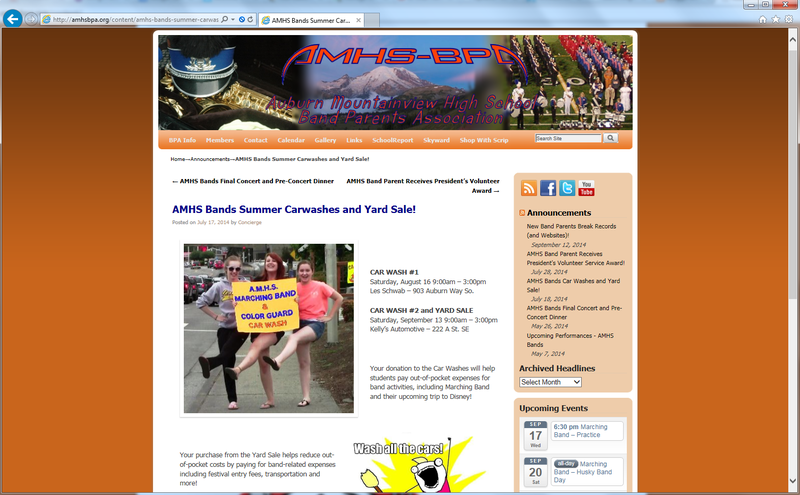 We can also provide artwork, design and hosting services for your webpage. Whether your needs are only a simple online presence with contact form, a blog and calendar for your non-profit organization, a complex content management system or private interactive user forum, we can build and support the perfect solution for you, from the ground up. 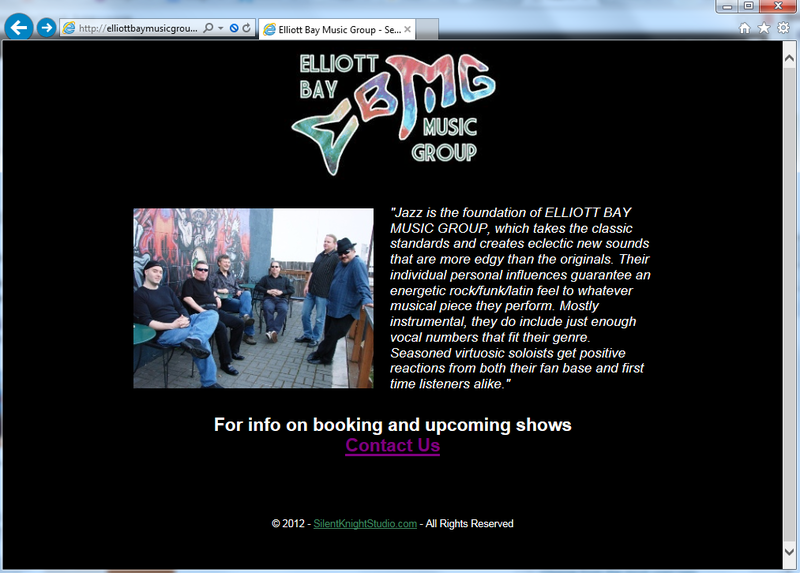 Elliott Bay Music Group needed a logo and a single-page website with a contact form so fans and booking agents could find them. We provided both. 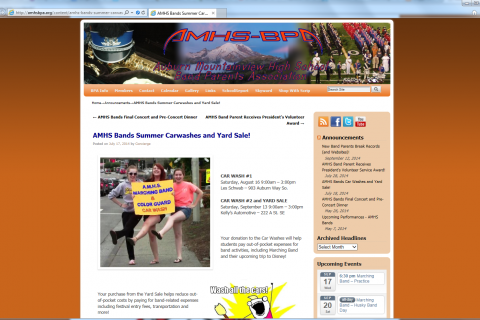 The Auburn Mountainview High School Band Parents Association needed a blog and calendar to keep the public up-to-date on band activities, fundraising and upcoming events and a content management system to serve music and video, and important documents. 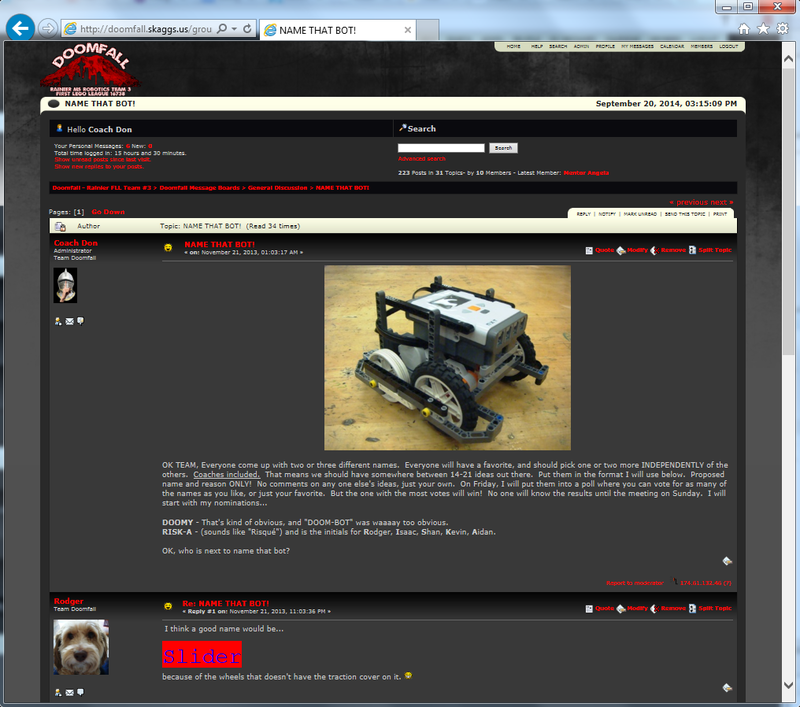 Rainier Middle School Robotics Team #3 needed a logo and a members-only forum to collaborate on their top-secret (and first-place winning) project! 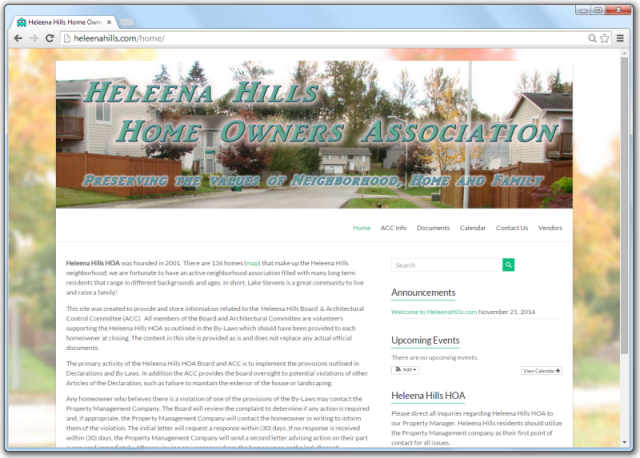 Heleena Hills Homeowners Association needed a way for resident-members to access association documents behind a private login and for prospective residents to find information about the neighborhood and contact the HOA. 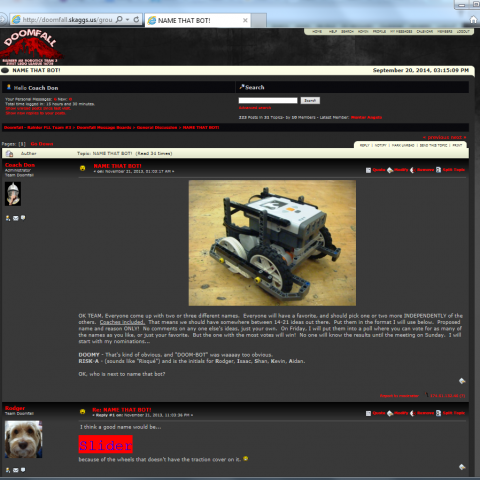 Their website is easily administered from a simple graphical interface (as simple as formatting a post or sending an email), with no programming experience necessary. 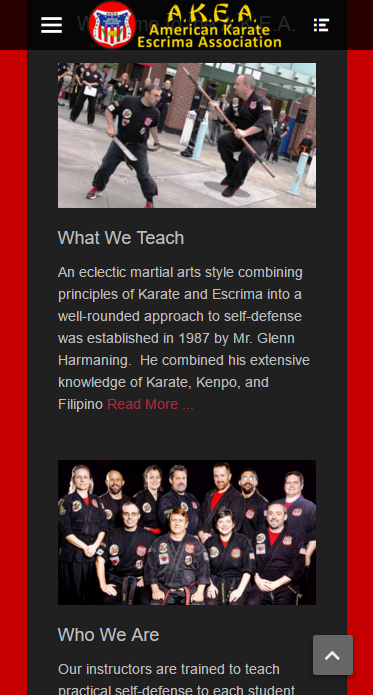 We have done photography and produced training videos for The American Karate Escrima Association and completely recreated their website, including a members-only section for access to those videos, optimized for responsive viewing on any platform, including desktop or mobile devices. To keep your costs low, we either hand-code static pages ourselves or use open-source applications, scripts, themes and plug-ins. We host only low-traffic “managed” websites on either our own or shared servers, keeping your hosting and support fees low. When you hit it big and need more bandwidth, we are happy for your success and will help you migrate to a more robust platform. Regular backups and security reviews of your website maximize uptime and reducs risk from outdated scripts and hackers. 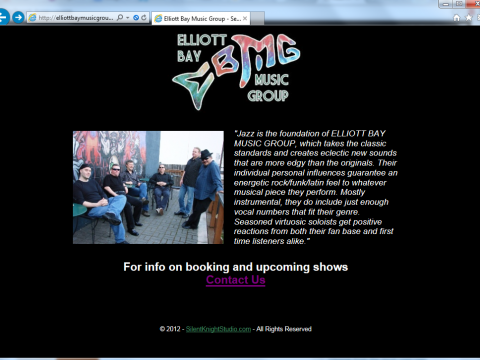 Contact us to discuss you specific website design and hosting needs.